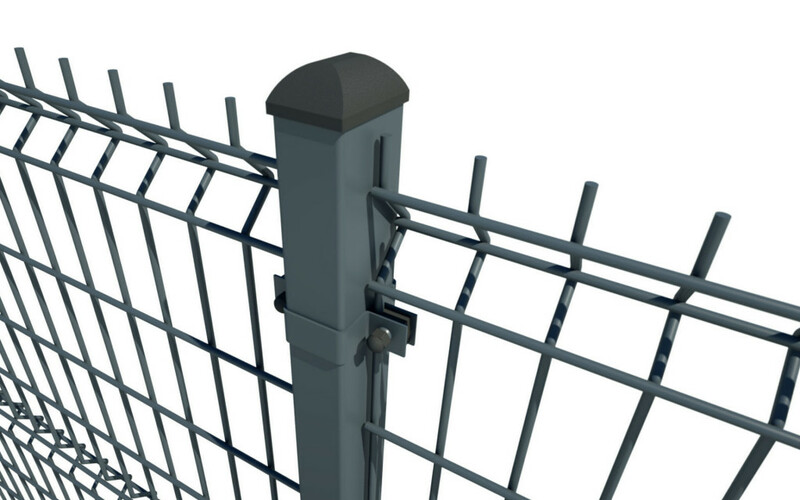 number of vertical bars 50 pcs. 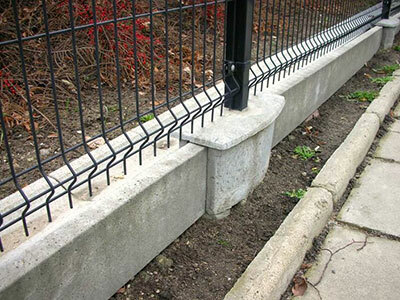 type C Galvanized steel grip is used for mounting concrete plinth boards 4 cm width. 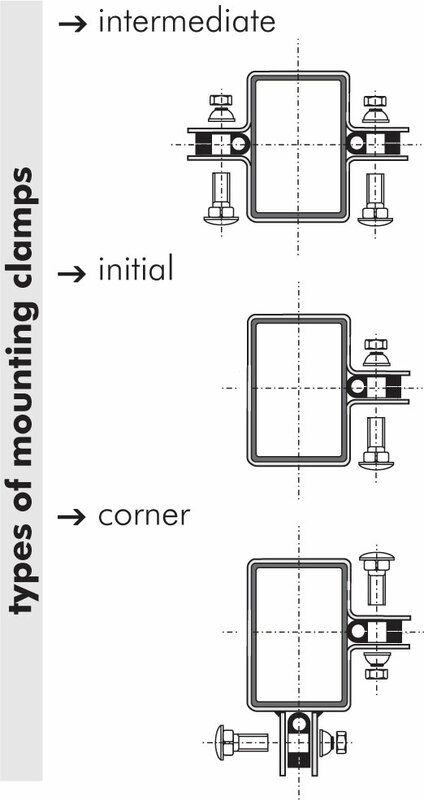 It can be used as initial, intermediate or corner grip. 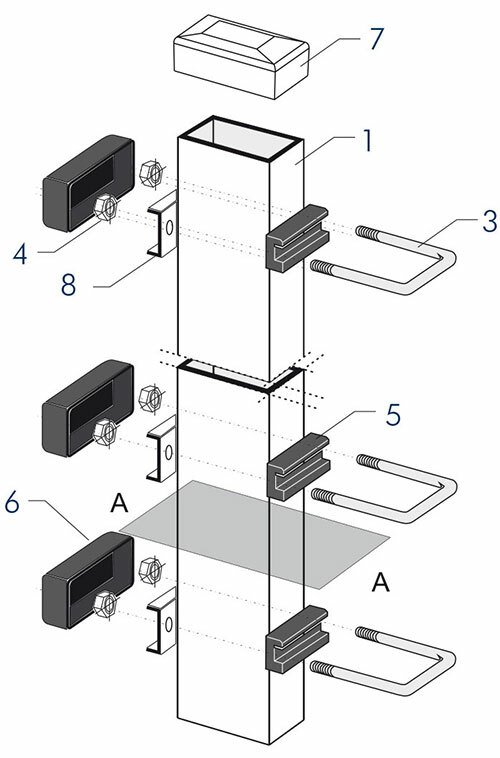 set: Galvanized plinth board grip for panel post H=200 mm S=40 mm: 2 pcs. 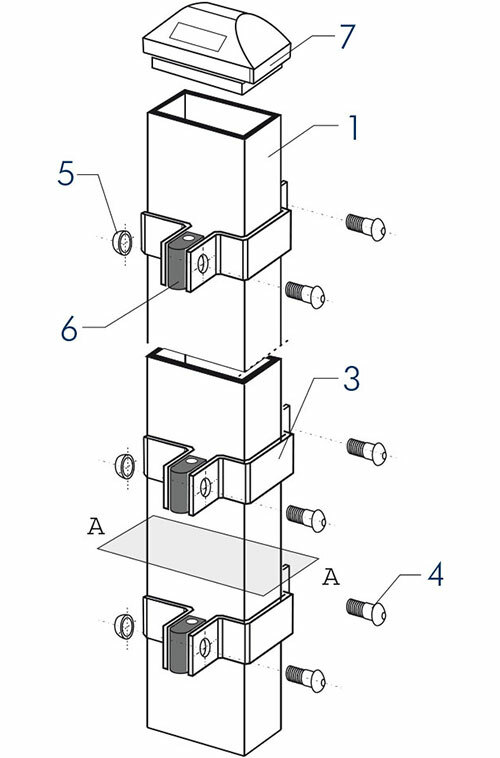 self-drilling screws: 4 pcs. 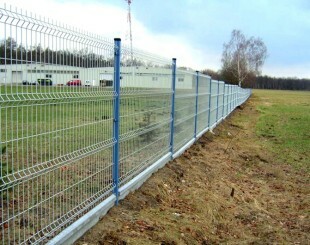 filled with a fencing panel or with 1, 2 or 3 rows of barbed wire. 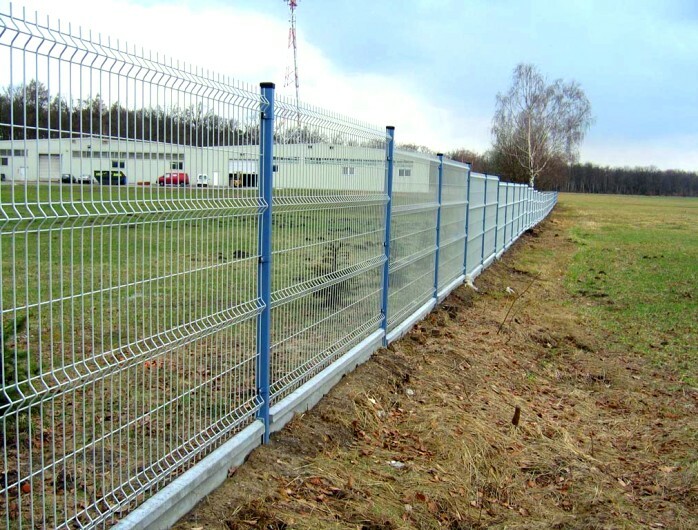 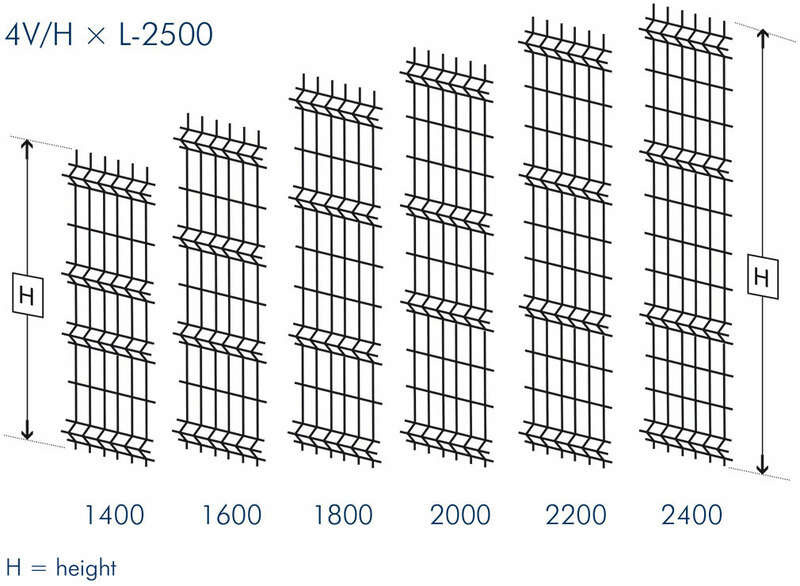 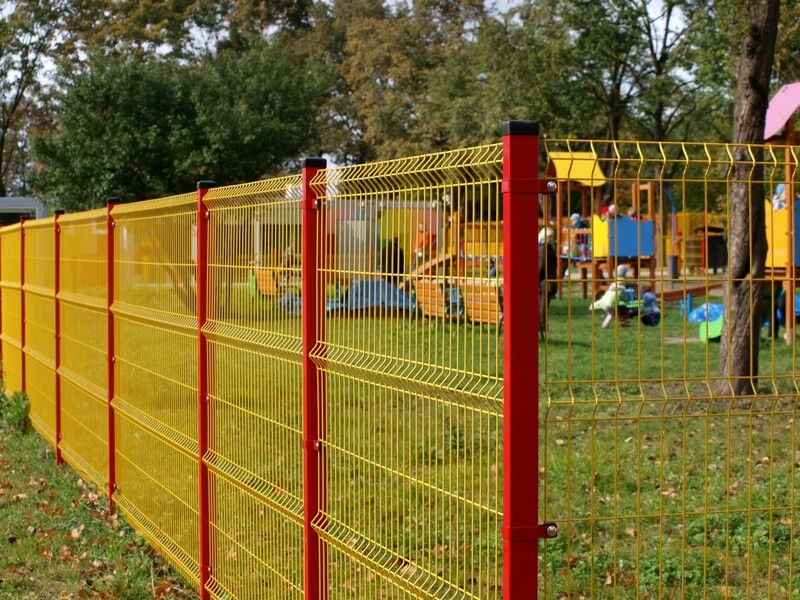 It is recommended to make fencing panels intended for fencings of schools, nurseries, bus stops etc. 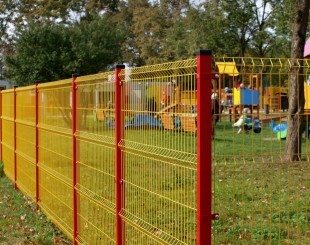 in a special way depriving them of upper wire endings (comb). 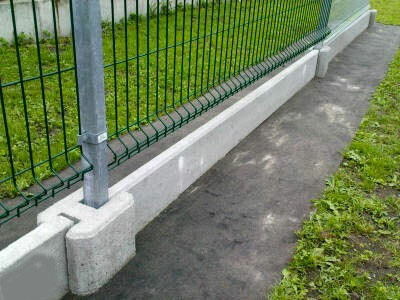 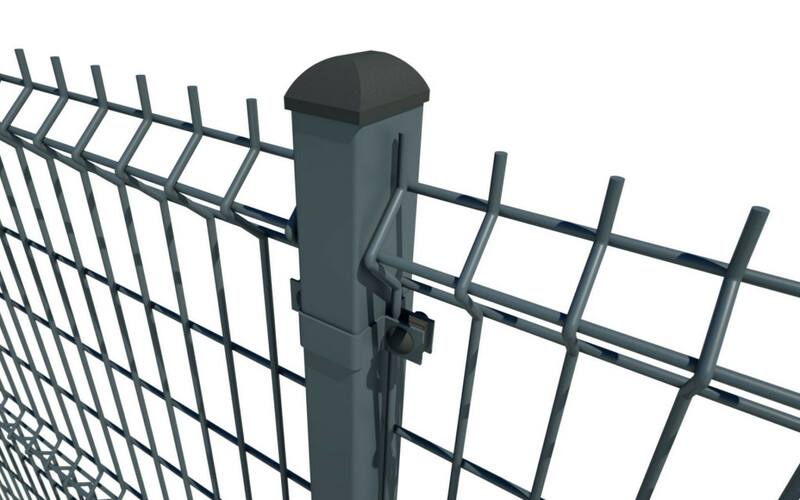 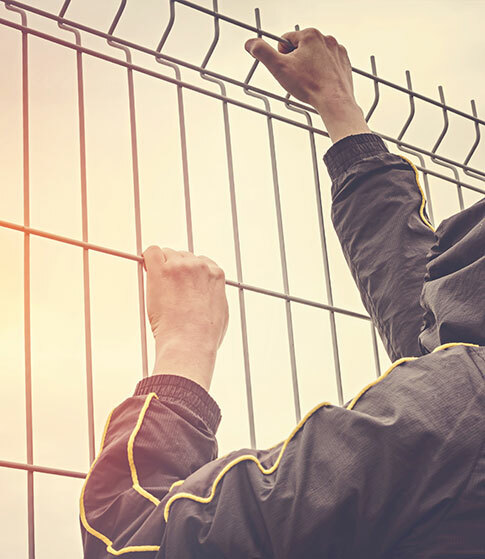 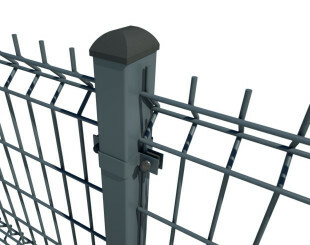 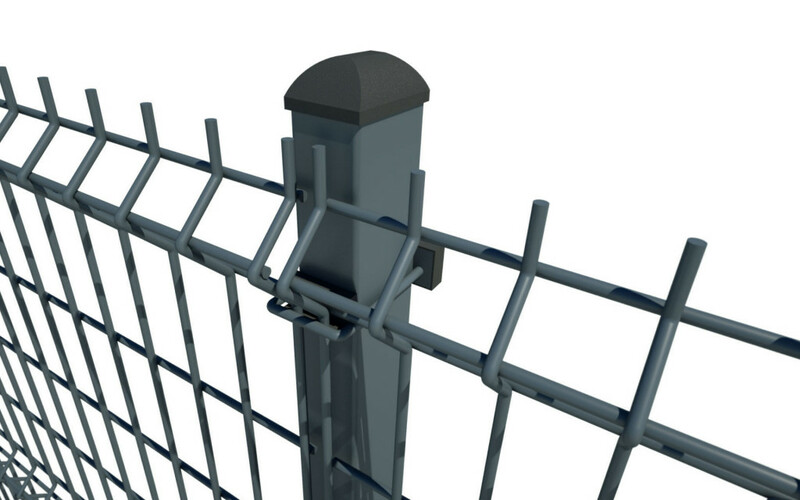 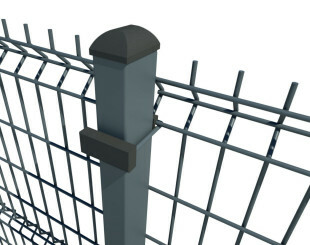 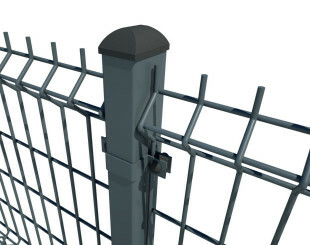 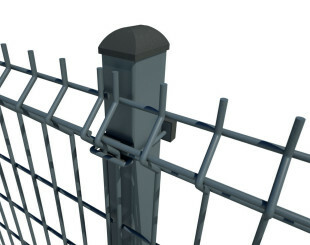 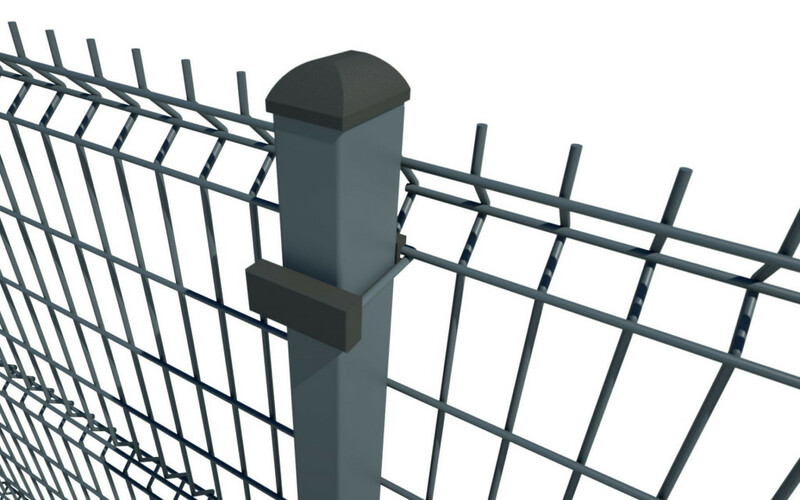 It protects people trying to go over the fence from the risk of injury. 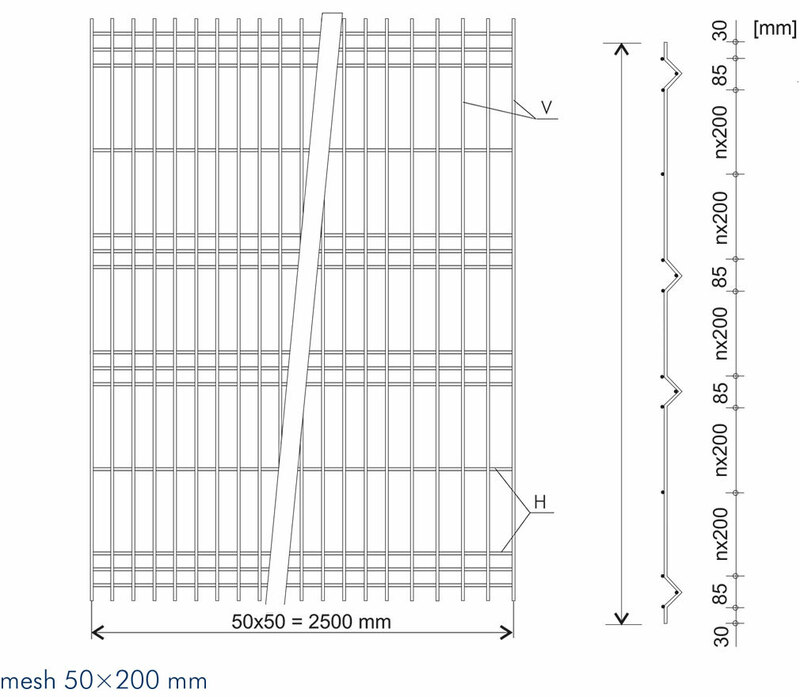 In case of mounting fencing panels in sections of <2,5m, we cut them short on site (on a building site). 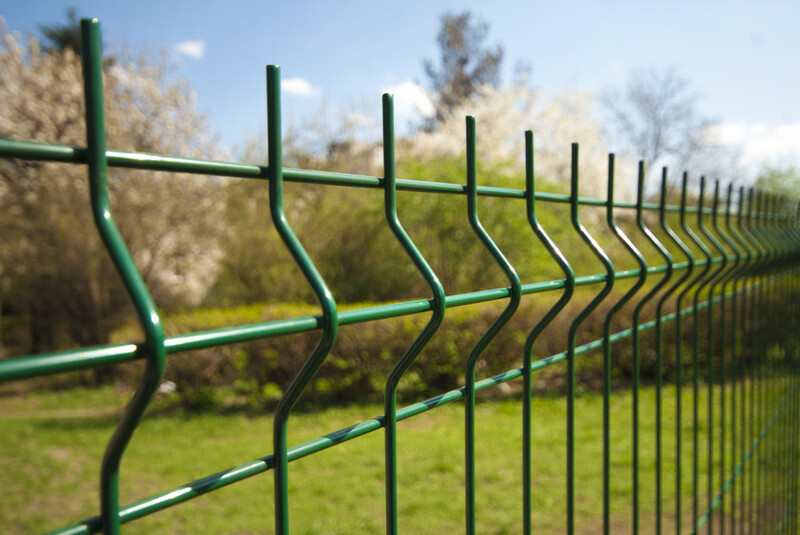 We cut panels with wire-cutters (that allow to cut bars up to 8 mm). 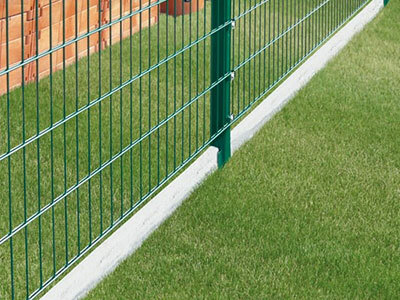 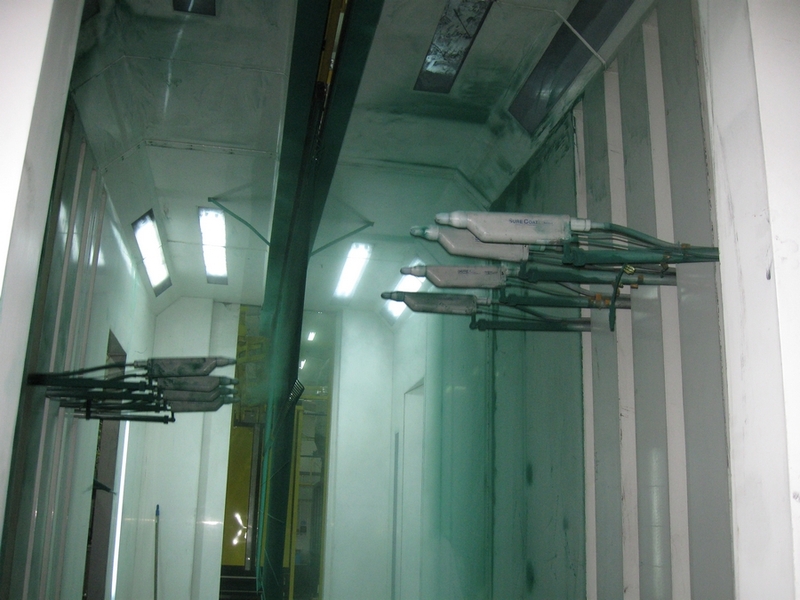 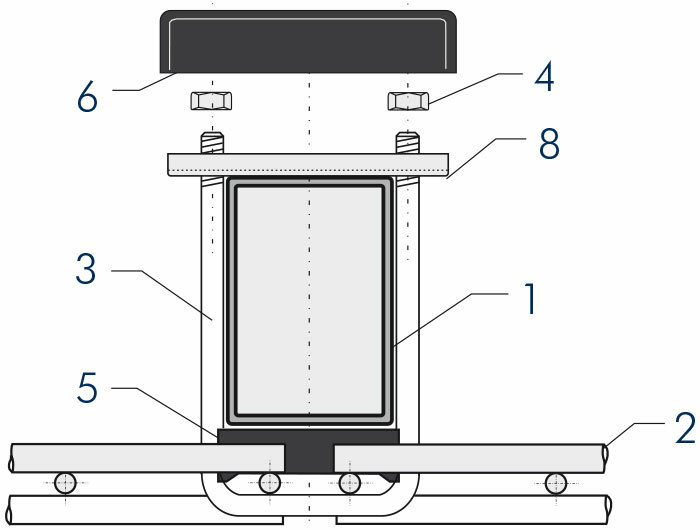 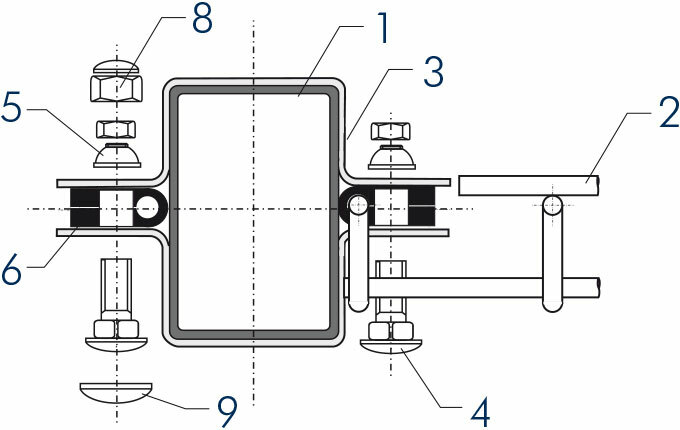 The panel is cut short in a modular manner every 50 mm, as close as possible to the welding. 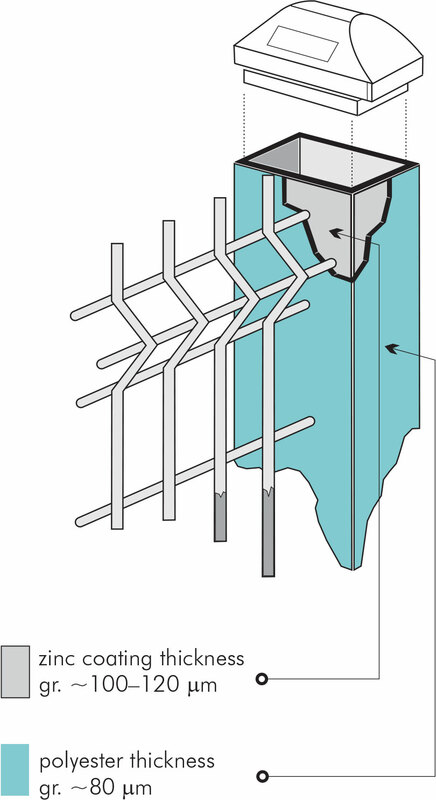 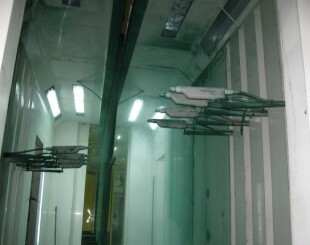 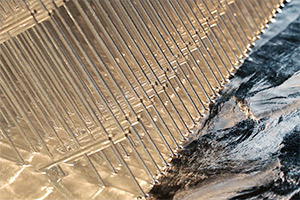 Cut bars are secured with lacquer mortar in a given colour. 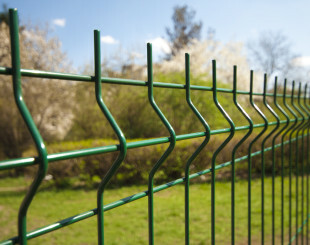 temporary fencings of building sites.